Even though there’s still feet upon more feet of snow in Northern Michigan, I’m determined to come back from Spring Break to SPRING, even if it’s just in my classroom. 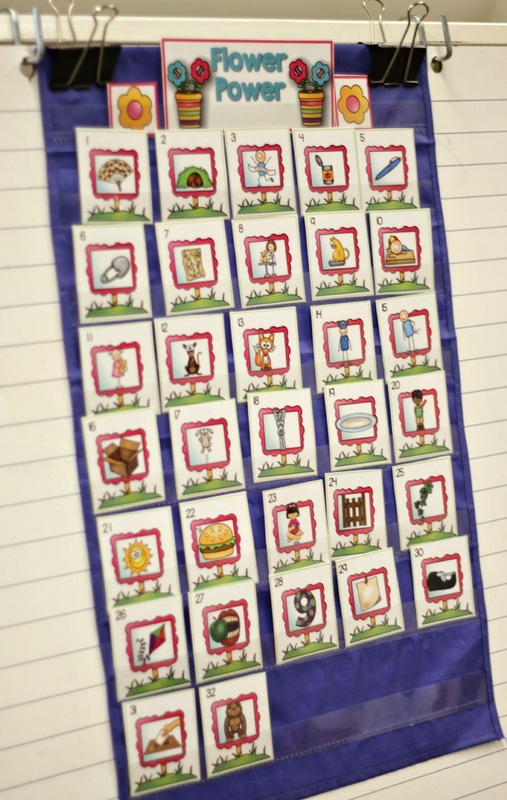 Here’s what I’m using to get that Springy feeling into my word work. 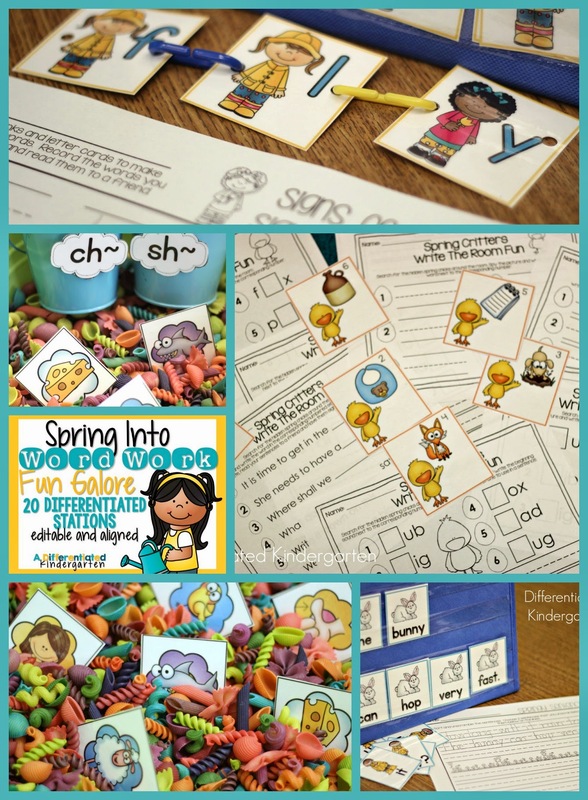 My goal for these stations is to provide my kinder friends with a ton of practice on skills they are either beginning to master, have mastered or have mastered and need more challenge. 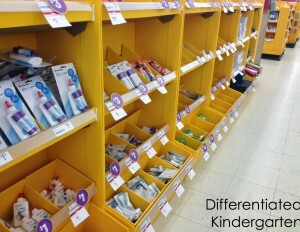 This is why they are differentiated. This is also why they are very interactive and hands-on. The need lots and lots of practice for these skills to stick and before I hand them a response sheet. There are 20 (I know I got a little carried away) different stations and, while I just can’t show you all of them, I thought I would give you a sample. 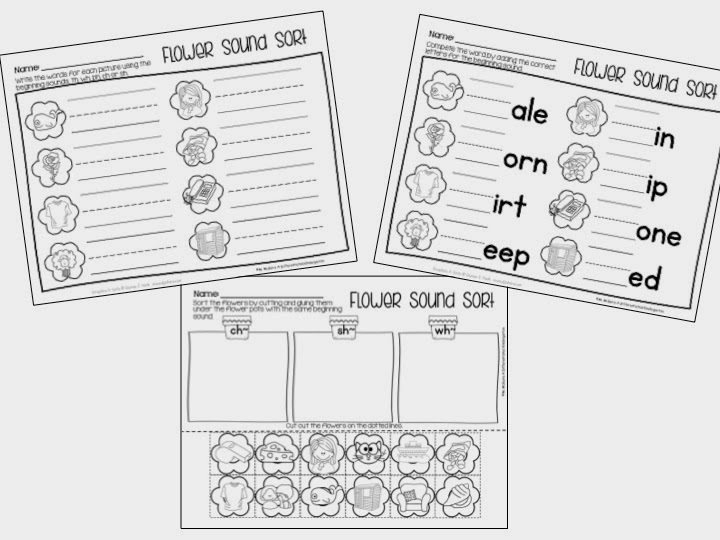 Flower Digraph Sounds Sensory Table Fun. If you read my blog, you know I love all things that give my kids a reason to play work in the sensory table. I know many of you don’t have the luxury of a sensory table, and I don’t want you to get discouraged by that. Just grab a lower sided container of some kind and fill it with something fun. I am actually going to be changing mine out with Easter grass here petty quickly, but for now its neon noodles. 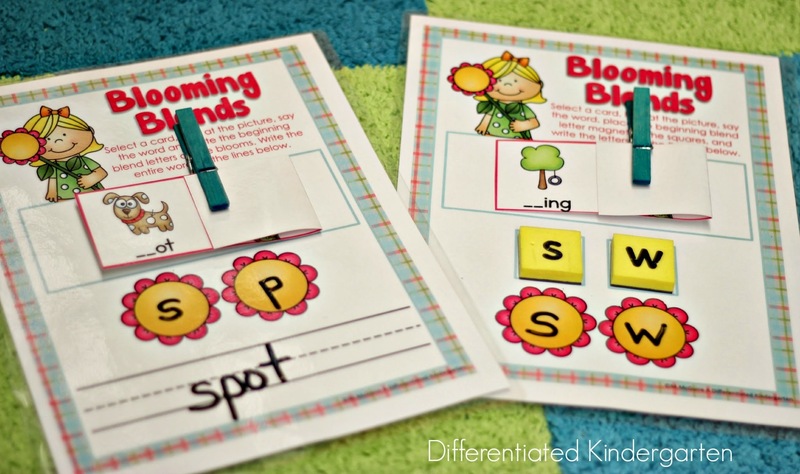 There are a couple of ways you can use these Flower Digraph Sounds Sorting cards. I like to hide them in my sensory table and have my students sort them into cute little buckets (or little Terracotta pots-I couldn’t find mine for the life of me when I was setting up my stations so I’m out to get some more before I get back). 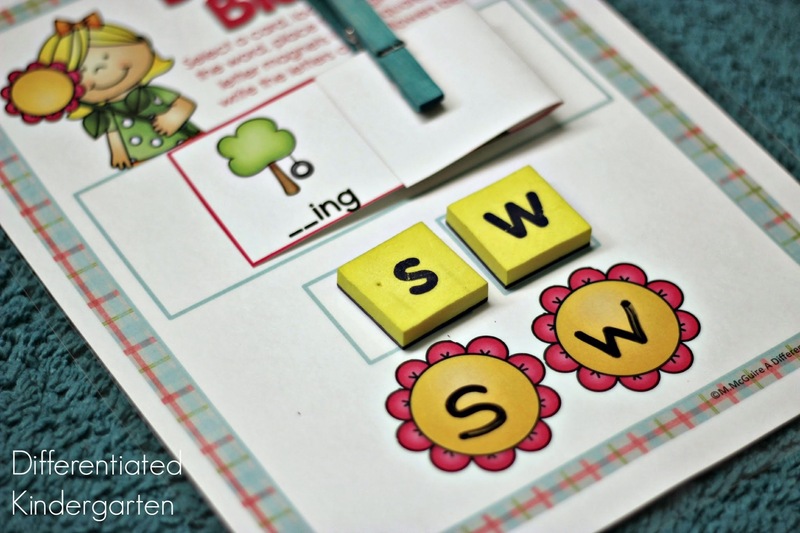 Of course, if you absolutely can not have anything remotely similar to a sensory table or tub, you can always spread these digraph flower cards on a table or better yet the floor and let them sort them there. Anything to get them moving and out of a chair. Once they have had lots of practice, then, of course, they can take and work on some of the extra practice sheets included in this set. 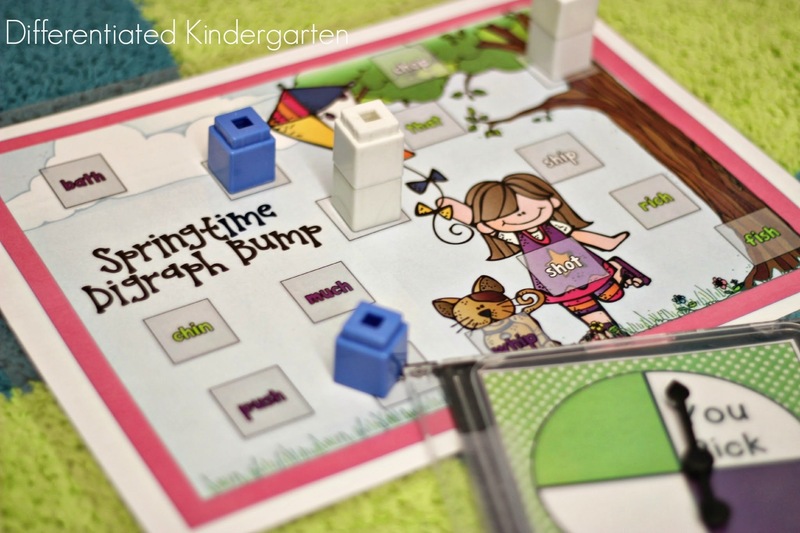 My students love any kind of BUMP game I can come up with and so I always have a game in my Word Work AND math stations. 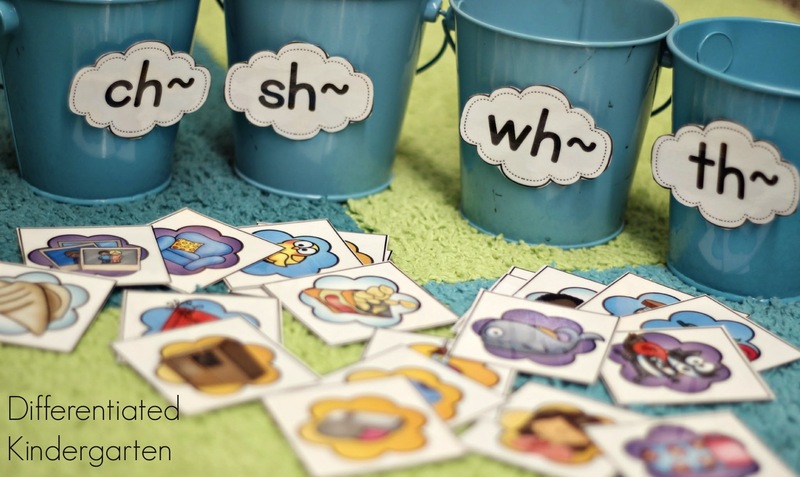 Because I have a bunch of students who have already mastered all 220 Dolch sight words, I created three different kinds of Bump games this time around. All three of them are editable by the way so you can add your own words if you prefer. 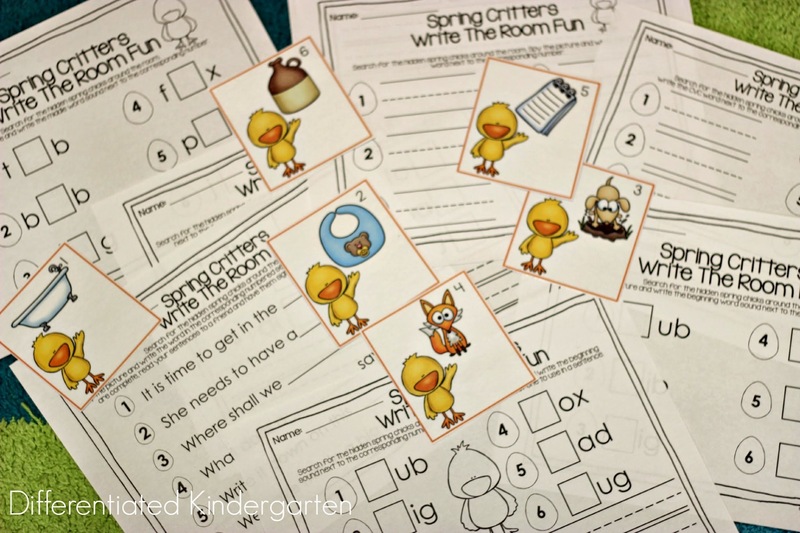 I’ll use this digraph one for students who have mastered their sight words. And this blend one is another one that my high fliers will be using. 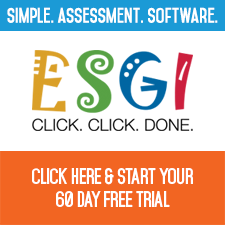 Springtime Segmenting – Self-Correcting and Independent. Yes, I still have kids that need a great deal of practice, daily practice, hands on practice that lets them move with segmenting. This one is self-correcting and independent. (Independent is my favorite word in kindergarten.) 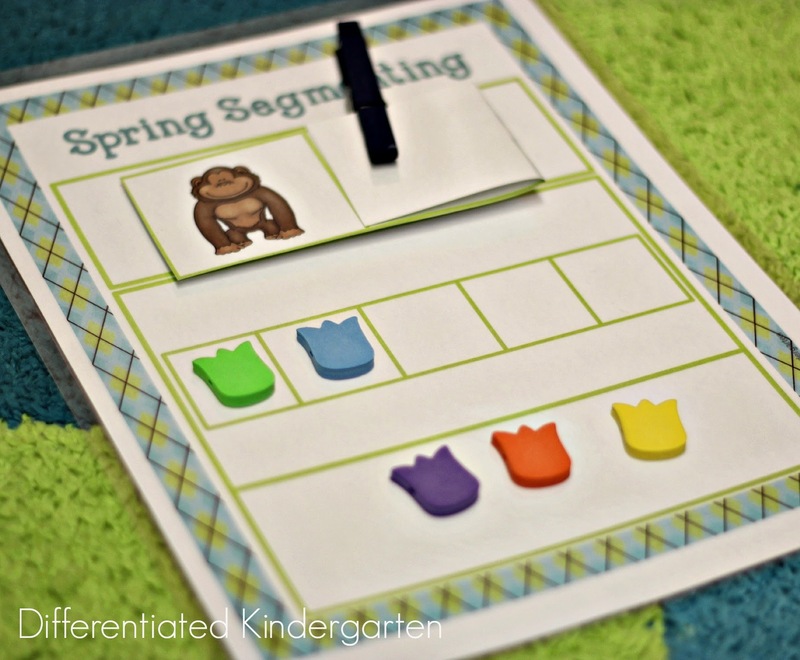 Giving them something seasonal and fun to use as the segmenting manipulative will make this activity even more engaging. So I found some flower foam beads that I had laying around that we will use to mark the number of sounds in each word. But, of course, you can use snap cubes or buttons too. 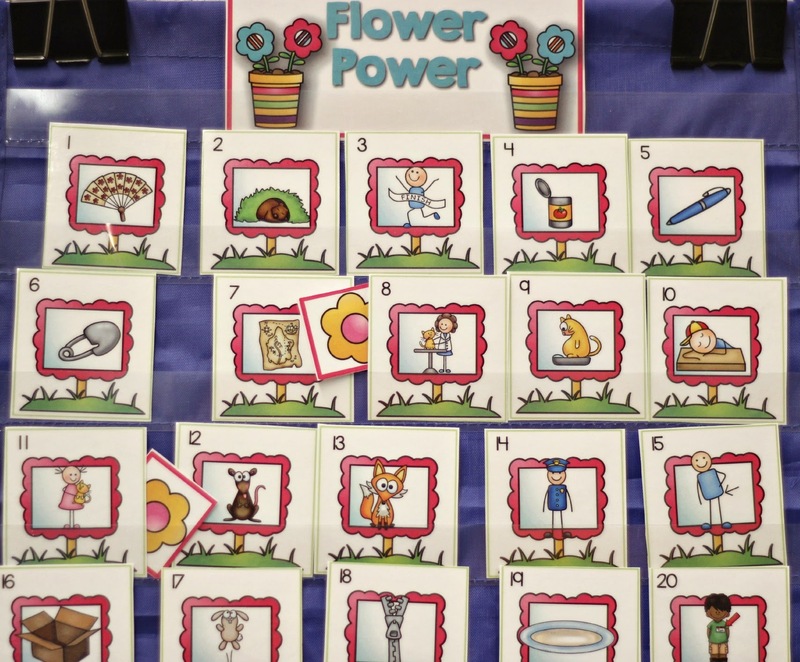 So they look at the picture, move a flower into a box to represent each sound in the word, then open the card to see if you got it correct. Easy peasy and they LOVE it. 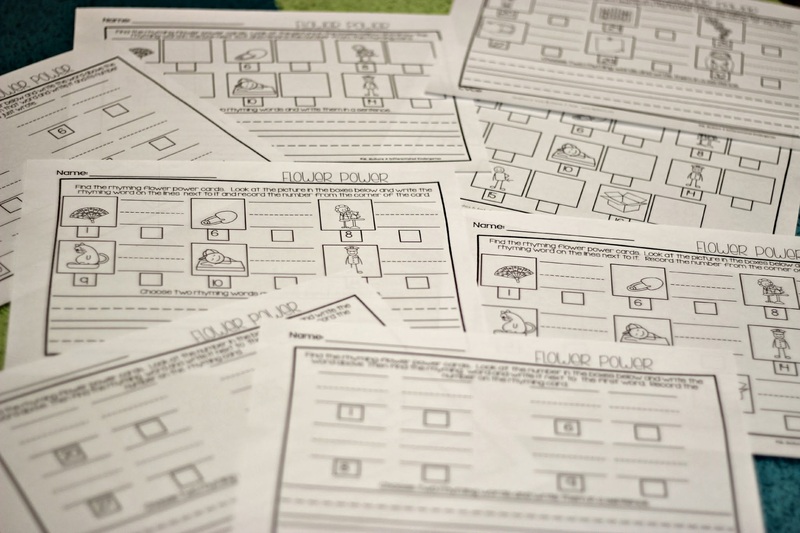 My favorite kinesthetic activity hands down is always a good ol’ fashioned Write the Room Activity. This one needed to be differentiated because the readiness levels in my class are so extreme, but I know that all my kids LOVE to write the room. So I couldn’t do one that would only be ‘just right’ for a small group of students. So look at all the response sheet options I have for this activity. There are two different sets of cards to post and a bunch of response sheets for each set of cards. 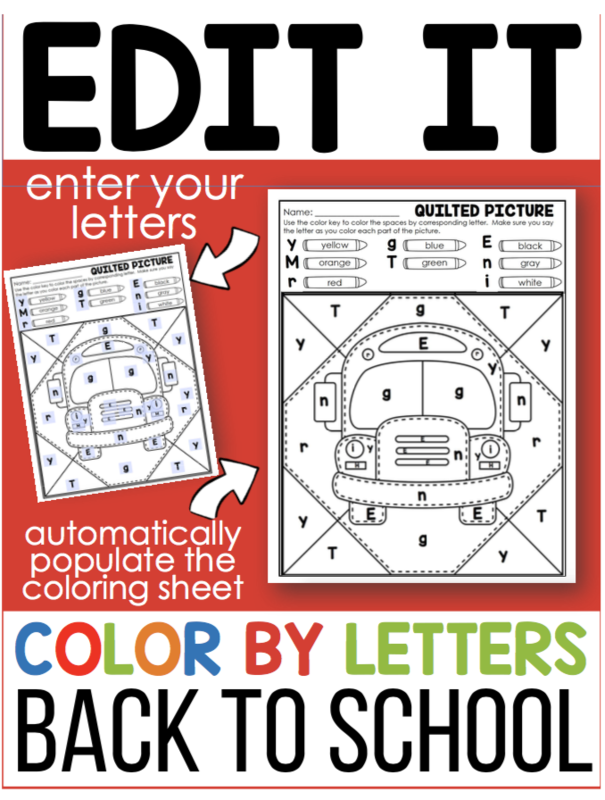 I will definitely be able to extend this activity for many uses. I have students who are rock stars at blending and others still getting their feet wet. 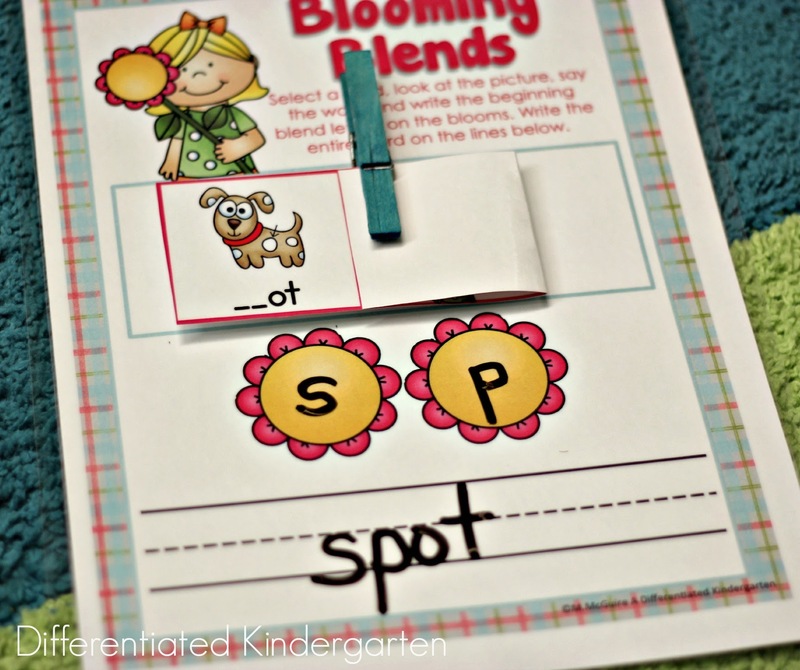 These Blooming Blends activities are perfect for them to practice what they know at their level. For students who really just need to get those first sounds, I have a mat that lets them use magnets and then write the blends. 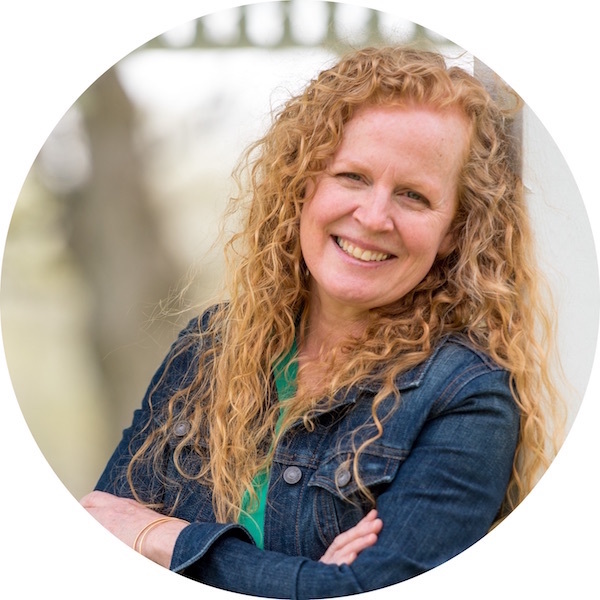 For students who have expanded beyond that and need a greater challenge. They can write the entire word. 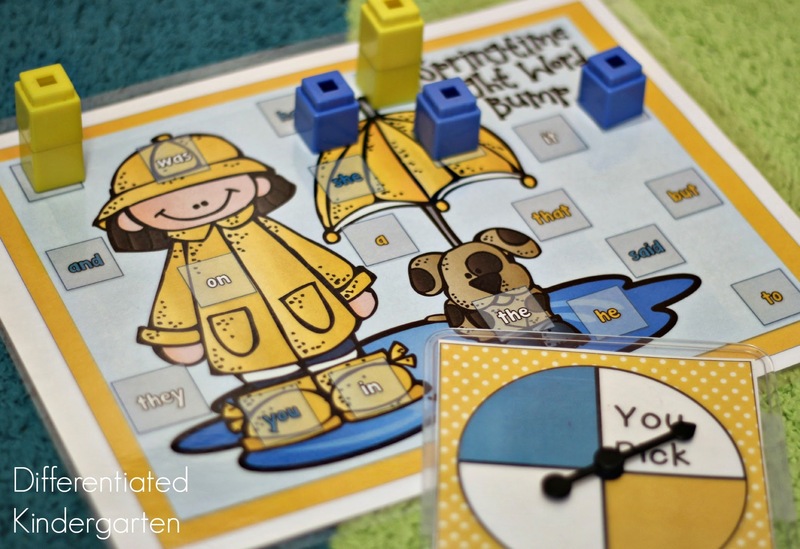 Mixed up sentences give them lots of practice with reading. It’s a favorite of my students. 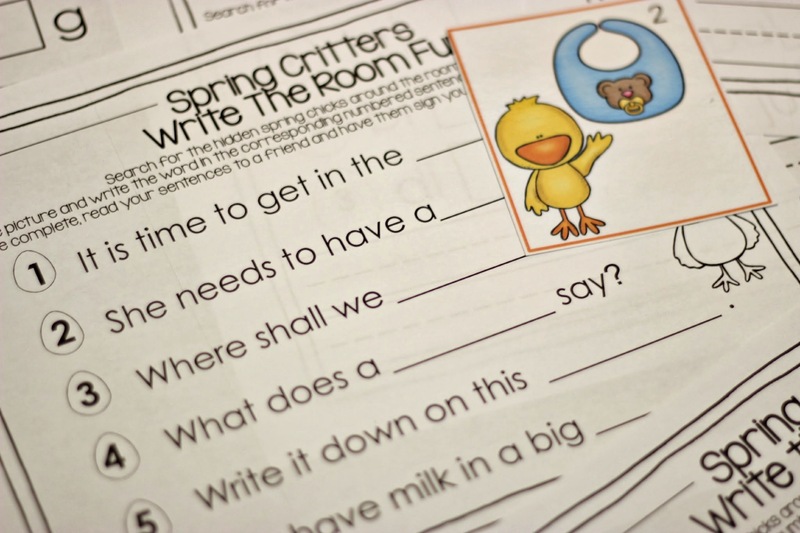 They love feeling the accomplishment of know those familiar words, and when they can put them together to make a sentence . . . BONUS feeling of success!!! 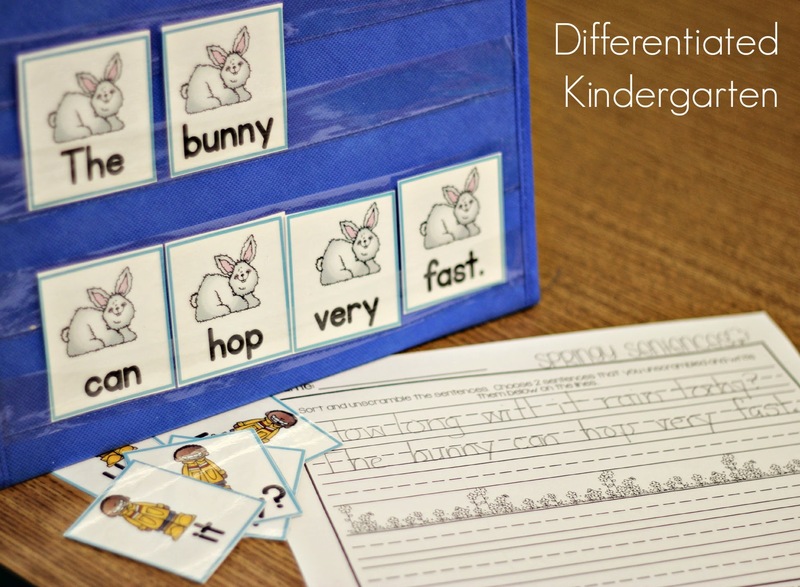 So I have a set a easier sentences for my kiddos who are still learning and another set for my other kiddos along with a couple of different response sheets. 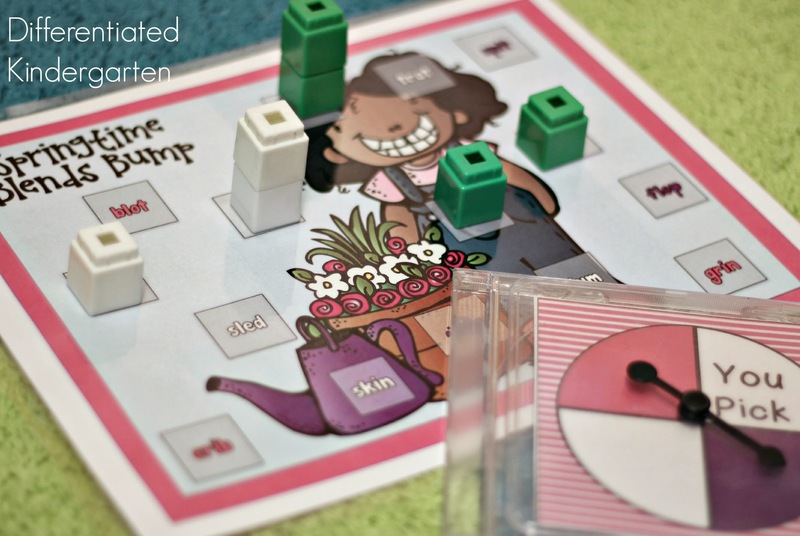 Flower Power is a fun game that reinforces rhyming and helps my students identify words that are in the same word family. 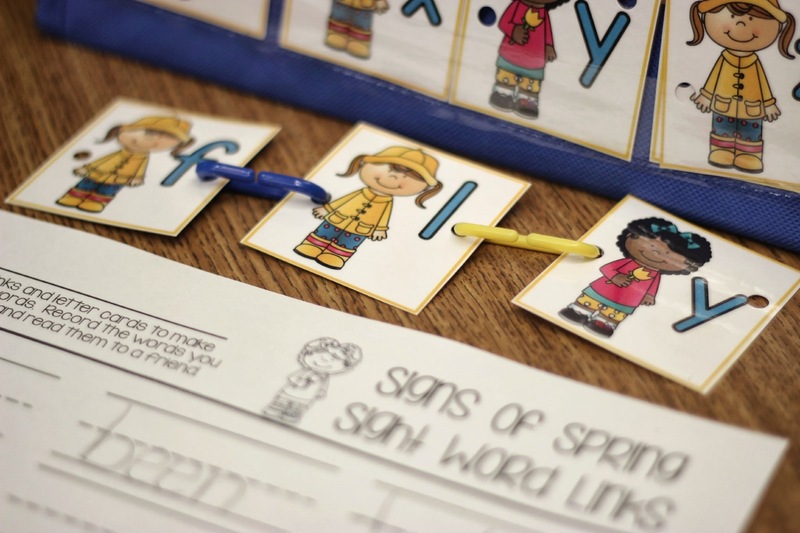 Students hide two flowers behind 2 rhyming words. In the meantime, the other students have hidden their eyes and now have to choose 2 rhyming words that they think the flowers are hidden behind. 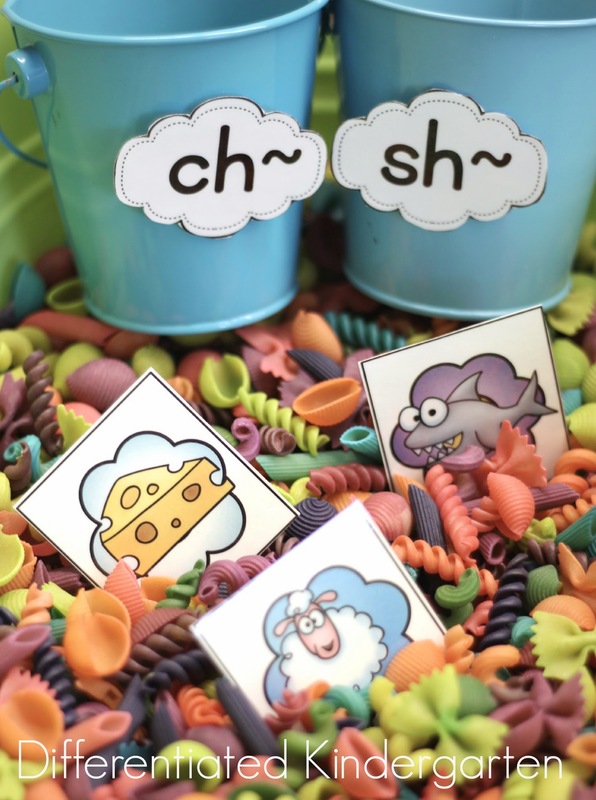 This is also an activity that I will be placing in a sensory table for my students to sort and match up rhyming words. 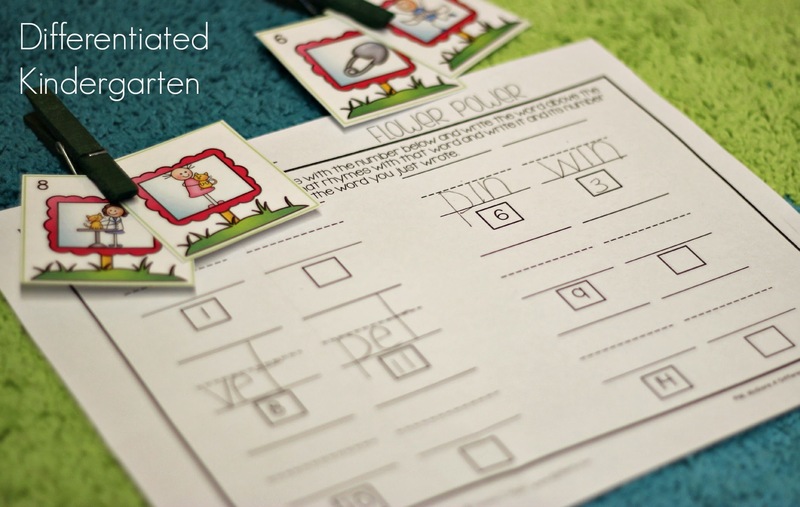 After they have practice this activity several times, I have several different response sheets that I can choose from in order to extend my students’ learning at their own readiness level. There are seriously a TON more items in this packet. 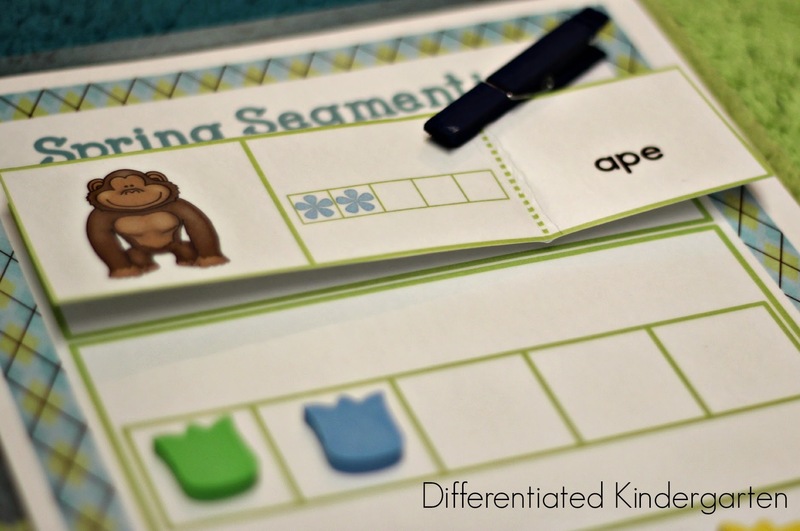 I always have letter cards in my word work packets because I always have move in kiddos that are not fluent with letters, but also because I like to use these letter cards to give my other kids another way to practice making/spelling their sight words. 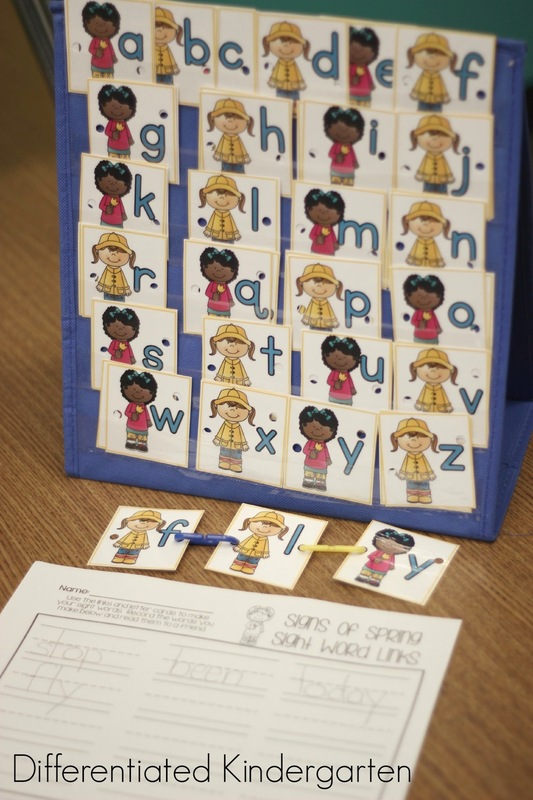 Another hands-on, engaging way for my kinder friends to practice their words. They love using these links this way and I love that they are sooooo engaged when they are doing it. You can get this pack up on sale this weekend during my spring cleaning sale. Actually, you can pick up ANY of my items this weekend on sale during the sale. So if you’d like to see more on this pack, click on any of the pictures above and you can see all the other items included. And in the meantime . . . THINK SPRING!!!! 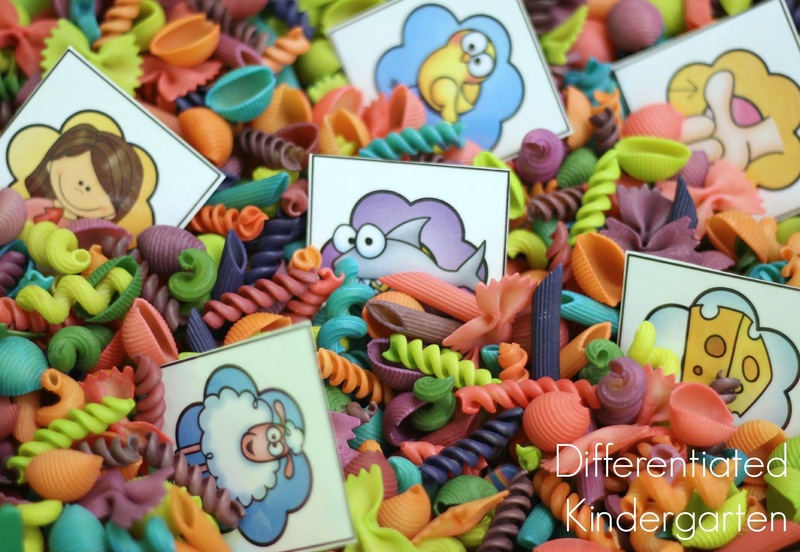 How do you make your colored pasta?? 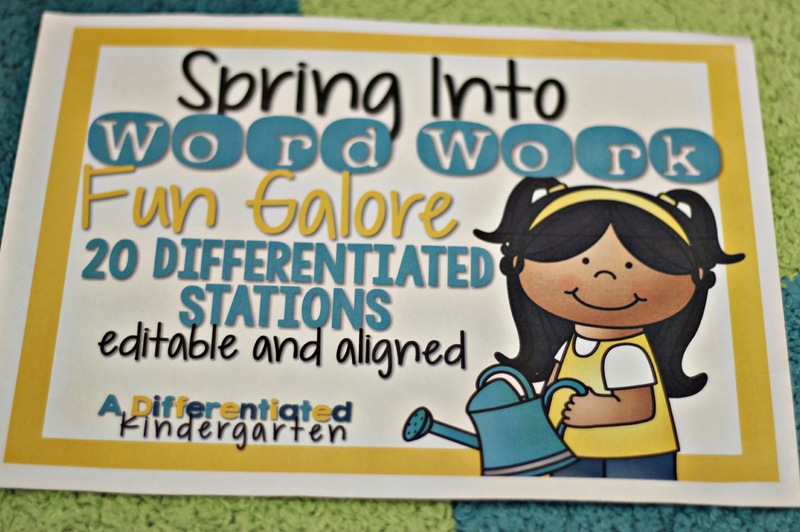 I already have the spring word work galore, now I just need to do that  I’m thinking it will be a great spring break project!